Glu has recently released Frontline Commando 2, a sequel to their popular third-person shooter. Donning great graphics, plenty of content, and a fitting control scheme, this Android game definitely has some good features under its belt. 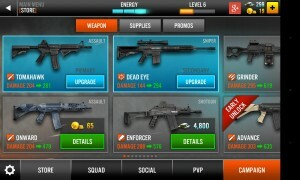 Its freemium system, together with repetitive gameplay, however, may scare off some. 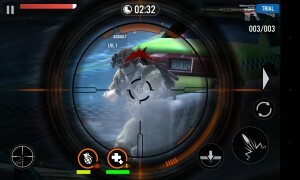 In Frontline Commando 2, you are tasked to kill bad guys who are doing bad things. Every mission happens in a condensed area with scarce number of cover positions where you have to shoot at several enemy soldiers. Battles last just long enough to be satisfying and exciting. For sure, you will not get bored as the combat isn’t too long. It’s a good game that you can easily pick up and play. The campaign mode doesn’t require an internet connection and doesn’t use an energy system. Meanwhile, in Player-versus-Player game mode you still need to connect online when you want to participate in some PvP action. It uses an energy system which hands you three energy bars for free. Each match will consume one bar, and you need to wait for a few minutes before it replenishes. 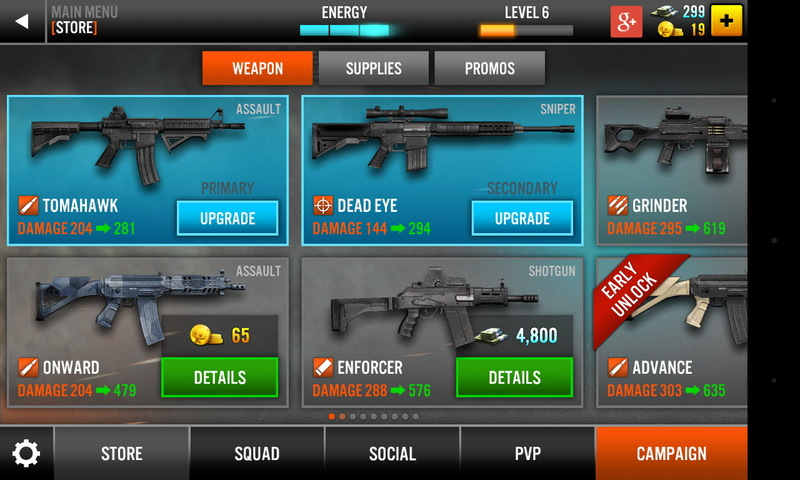 At the end of each combat, you will be rewarded with cash that can be utilized to purchase upgrades on your current weapon or you can buy new ones. 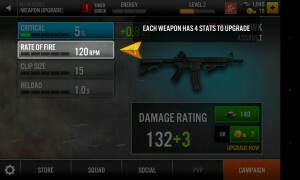 Each weapon has four ratings: Critical, Rate of Fire, Clip Size and Reload Speed. 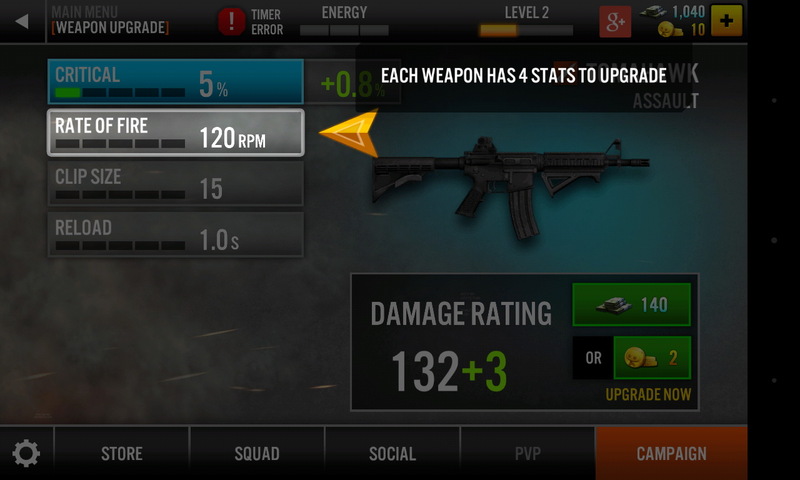 Upgrade all of the categories to ensure a higher damage rating. 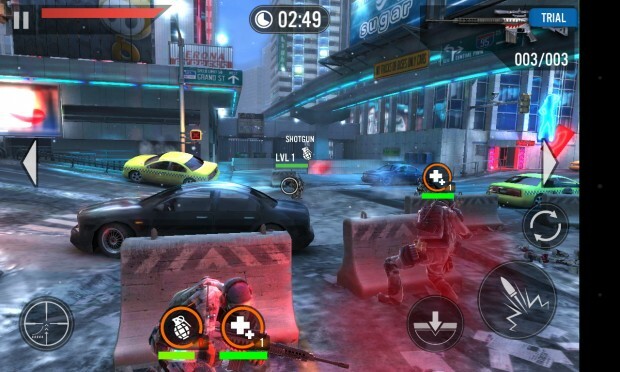 Complete the missions (40 in total) and challenges successfully to increase your experience. 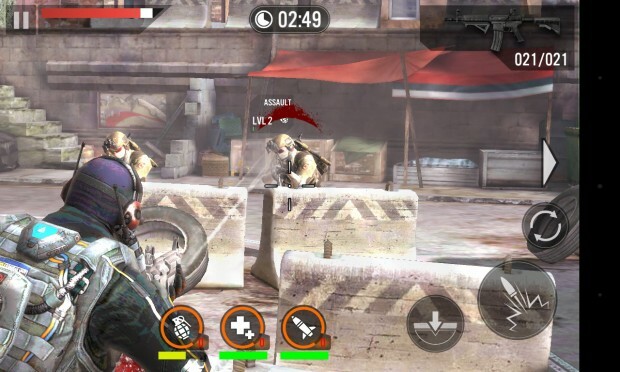 As you gain experience and as your rank grows, you can then pick-up more powerful weapons. One of the game’s good features is the control system. To control your character, you simply have to tap on arrows which are located on both sides of the screen. This will come in handy when you want to avoid grenades (or rockets) that are thrown (or launched) in your direction. Also, it can be used to get a better view on your opponents. On display are other virtual buttons. 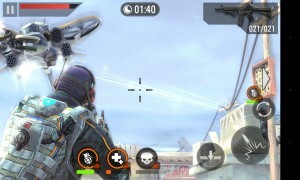 You can: drag on the screen to aim, tap on the shoot button to open fire, hit the reload button to replenish your magazine, and click on a switch button if you want to change your firearm. 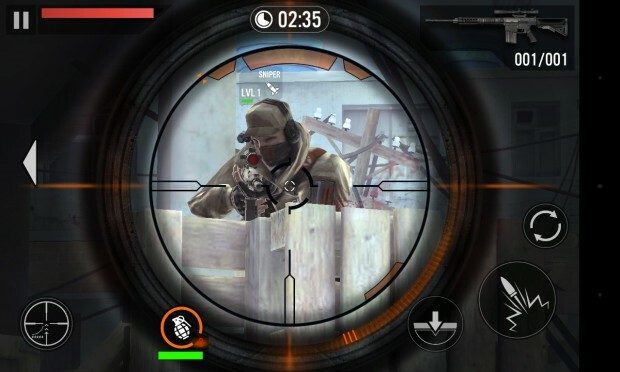 It’s responsive enough to let you shoot with ease where you can execute headshots without a glitch. Another thing that I like is the squad aspect of the game. 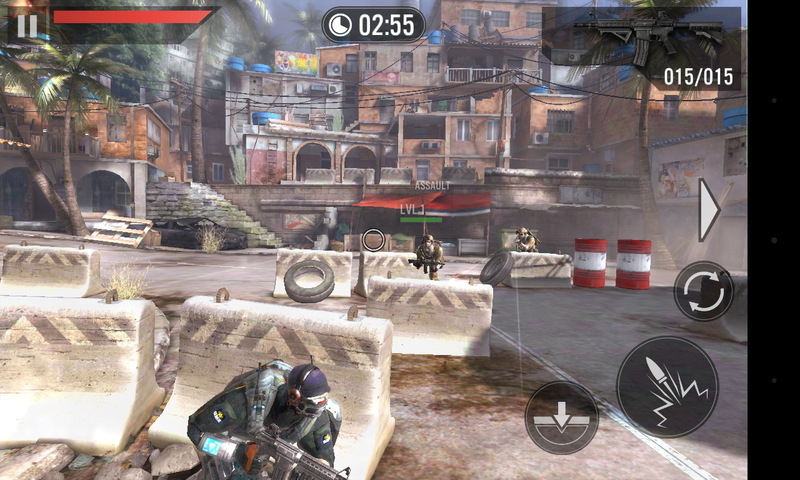 You can assemble your team of soldiers with over 65 possible distinct squad members. From what I’ve seen, I already saw a grenadier, a medic, an RPG launcher, and a sniper. Train them to improve their ratings and skills. 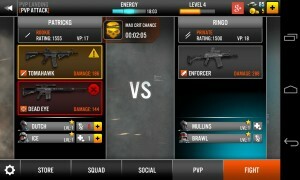 Some may be driven away by the free-to-play elements like the energy bar and the premium in-game currency (gold coins). 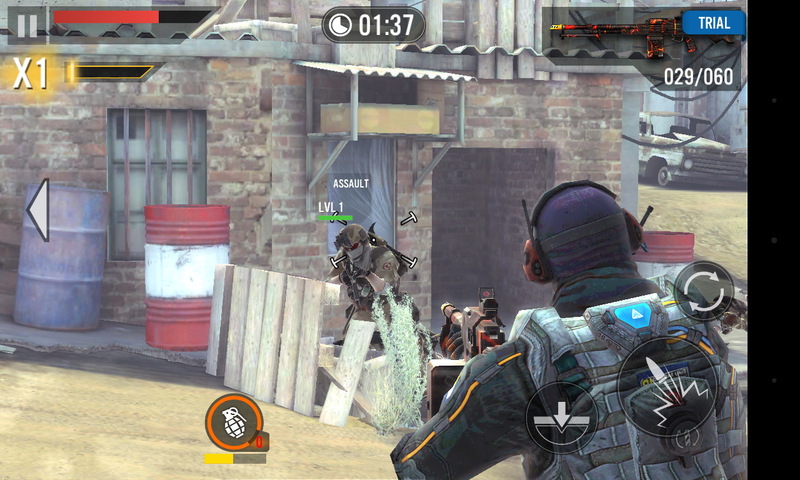 Luckily, the energy bar is only applicable on the PvP mode which means you can try to finish the campaign mode without having to worry about energy. Unfortunately, though, it may take some grinding for you to advance. 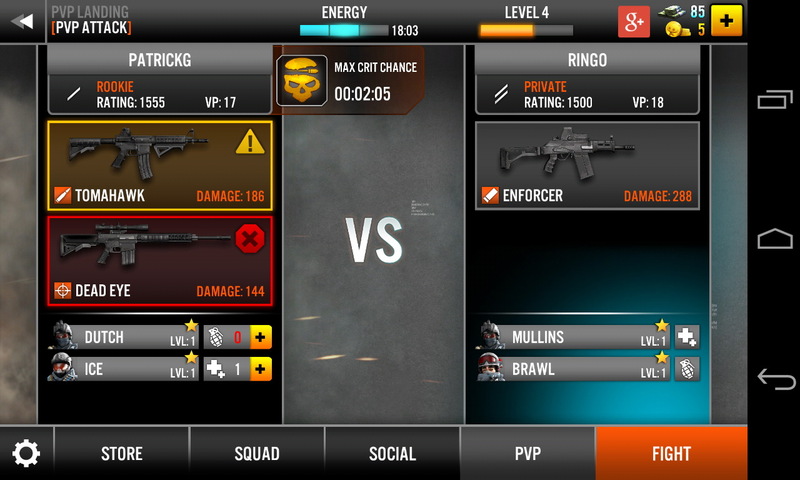 Some levels are challenging that you need to upgrade your weapon and/or train your squad. The only way to do that is to accumulate enough cash and coins. 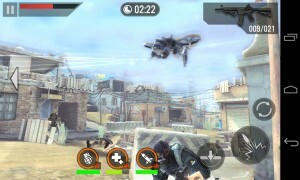 Also, if you are looking for a 100% third-person shooter where you can freely move your character, this is not it. You don’t have the power to direct your soldier anywhere you want on the battlefield. There are few cover positions, and you can move in and out of the cover, but that’s pretty much it. Further, consumables like grenades, health packs, RPGs, etc. are limited. If you want to avail more, you need to use premium currency. They are very much useful when you have them. Most of the time, to accomplish the level’s side missions, which offers additional rewards, you need at least one of those three. If only we can buy it using the cash in-game currency and not the premium one. Love it, but it has some issues with saving progress.